We are offering U Type Mixer to our clients. Advanced Intermix carbonator ensures accurate proportional mixture of water, syrup and carbon dioxide, duly controlled by PLC. This ensures consistency in various batch mixes, taste accurate mixture of CO gas. It can be 2 interconnected with water/syrup chiller. With the unique online intelligent detection at a thermal efficiency of 90% and an energy reduction of 15%, the burner independently developed by SOUTH uses the double frequency conversion, various types of oil, and the original wear-resistant parts imported from Sweden which rank first in the world to provide safe, real-time and fast services. 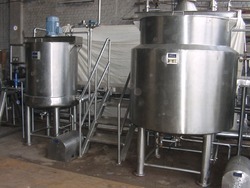 We offer agitators that are designed in accordance with the clients requirements. All these agitators are used across several industries. Made using premium quality of materials procured from reliable sources all these agitators not only withstand excessive wear and tear but also can be installed with great ease. All these agitators require high precision and are also flawless in performance. 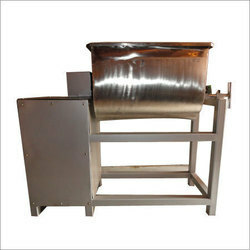 We are the manufacturer and supplier of Slurry system for seasoning and flavouring of products.